The best professional auto detailers offer clients more than just a wash and cleaning. Instead, they offer a multitude of services that really provide you with quality work. Not only will they make your car sparkle and shine as if it were brand new, but they’ll also make sure your interior, upholstery, tires and even the floor mats are looking their best. They provide a number of packages for you to choose from, in addition to many a la carte options to let you pick and choose exactly what you want for your ride. 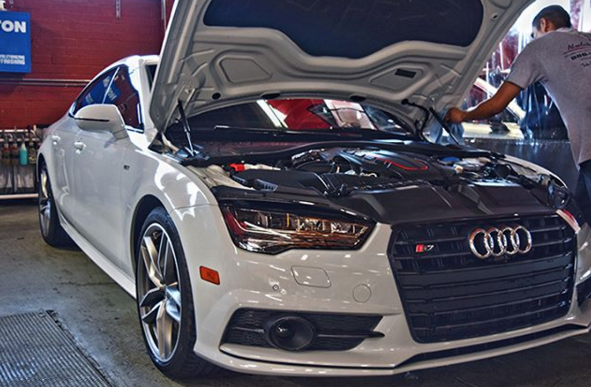 The best auto detailers also go above and beyond, offering choosy customers and car fanatics out-of-the-ordinary services like swirl removal, air sanitation, polish moldings, fender wells and chrome trim and so much more. Some places only offer machine wash options, while others only do hand washes. Choosing a company that offers both provides the best quality since some days you might not want to pay extra for a hand wash and will just want a simple machine wash and then other days, you’re more willing to spend that extra cash on a hand wash. The more options the better! These days, many auto detailers now use eco friendly professional products that won’t harm the environment, but will get the job done. And when they use these types of products, you’ll now that they care just as much about the environment as they do your ride since some cheaper solutions are more acidic and will cause the color to fade faster on your vehicle.